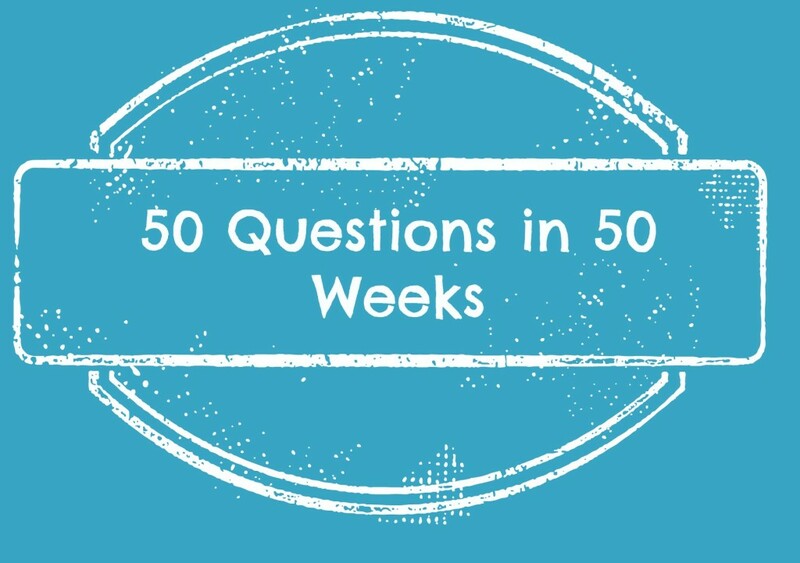 This is the fourth week in my Fifty questions in 50 weeks project. The questions were on a site that I found called Marc and Angel Hack Life. I really found it interesting and as I read through them, it was interesting to think about what my responses would be. I hope you will join me and work through these questions yourself. Feel free to leave a comment with your answer below! Week 4 Questions: When it’s all said and done, will you have said more than you’ve done? Hmmm. Well, I am a talker so it’s possible I will have said more than I have done. However, I’m working hard at making sure that I’m doing what I want and what I say I will do. It is a hard balance to find in life between speaking about things and actually doing things. How many times do you comment on things like politics, the roads in an area, a product or service and then don’t do anything about it other than talk about it? Do you write your elected officials? Write the company of the product or service to tell them the good or bad? My husband makes fun of me for actually writing to elected officials, writing to school board members, and writing to companies about their products or services. He thinks it is a waste of time and waste of energy. However, he always has a complaint and does nothing, when I have one, I put my fingers to the keyboard and try to change things. Most times I’m not successful, but there may be a time when I might just get somewhere with my actions over what I say then just rambling off with my mouth to everyone who will listen. I also want to teach my children to take a stand for what is right and to speak their minds when it’s appropriate and in some instances, even when it’s not appropriate. I want them to learn actions and not just speaking. I also want them to take their dreams and make them realities if there is any remote possibility of them doing that. I don’t want them to look back when they are 41 and realize they missed doing something that they really dreamed of doing. I hope that now that I am refocusing my life to reach for my dreams, it will show them they can do that as well. I don’t want to look back when I’m 61 and say “what if” or “I should have”. I want to look back when I’m 61 and say “Wow – I’ve done a lot since I was 41”. Do you say more than do? What would you need to do to be more of a “doer” than a “talker”? Comment below and let me know your thoughts.